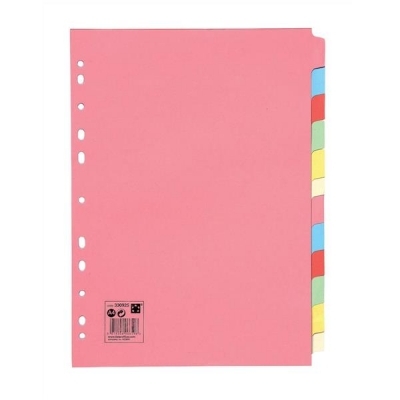 High quality board dividers. Europunched for filing. 230 micron board. A4 Coloured Manilla. 12 part.